Black and white is a completely different way to view an image. You can appreciate the shapes and textures, since there is no color to interfere. 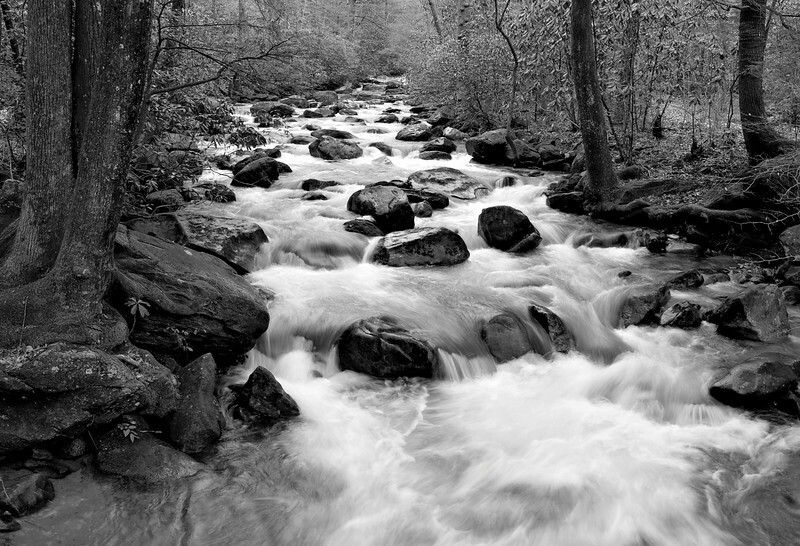 The Middle Saluda River at Jones Gap State Park, near Greenville, SC.